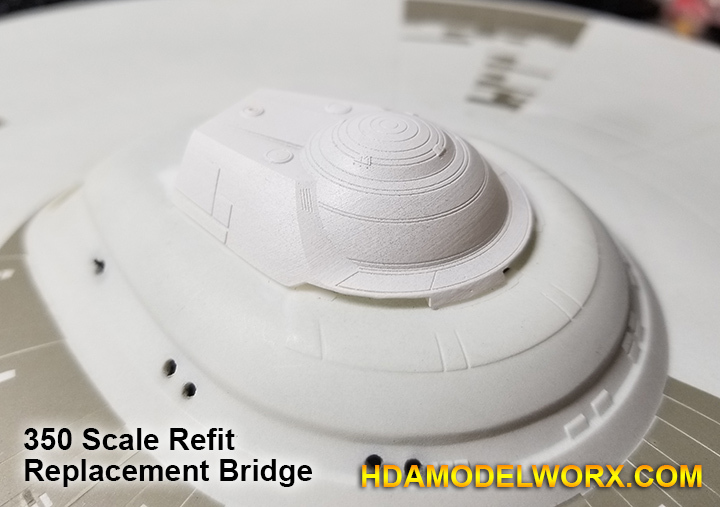 Designed by long time studio model researcher and 3d artist, Ron Headley, this replacement bridge, for the Polar Lights 350 Scale USS Enterprise Model kit, is highly accurate and detailed. Complete with all the major details seen on the studio model. This bridge comes with inscale accurate side panels, vents, line etching, dome details, docking port, docking lights, corrected slope and size. Many details are difficult to achieve at this scale, but have been designed based upon how the studio model details would scale down to 350 scale in size. This bridge part has been designed to replace the kit part and is an extremely close representation, at this scale, to the original bridge of the studio model. Complete with etched lines, vents, and details that have been painstakingly reproduced as closely as possible. 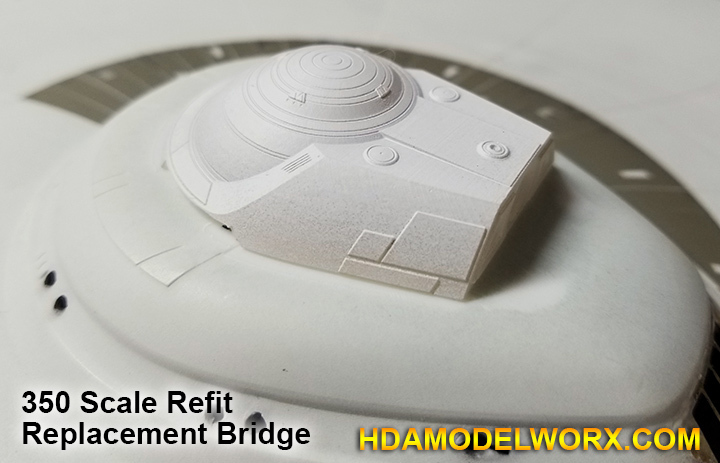 This bridge even has all the correct slope and angles necessary to give the modeler the correct look to make their build of the USS Enterprise in 350 scale a highly accurate representation of the ship we all love from the movies! Just for this part, a detailed photo-etch set with docking port door and sidelights will be available from HDAmodelworx! 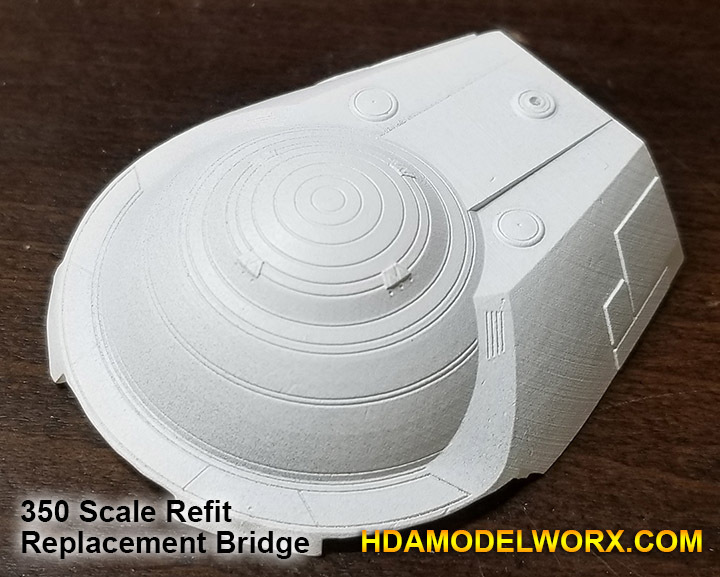 Thank you for using HDAmodelworx.com 350 scale refit replacement parts for your model build!. Very high quality replacement part. The accuracy improvements and detail vs. the stock part are subtle, but especially noticeable in the corrected dome and overall crispness of the lines. If you're a stickler for detail this part is a must.